We are available around the clock every day of the year. Our professionals are eager to service your needs, whether it's 5 o'clock in the afternoon, or 5 o'clock in the morning! You will receive a faxed proof of delivery on each and every shipment. This will include the name of the person who signed for your material, and the time and date that they received it. Each shipment is entered into our system data base and tracked every step of the way, from pick up to delivery. This allows us to access information quickly and reliably. If a shipment becomes time critical in transit, we have the flexibility and the resources to upgrade the shipment to a quicker level of service. 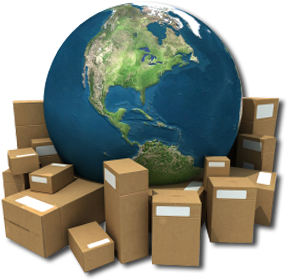 We have agents in every major airport city throughout the world, so if you need to have a shipment moved, be it Sundance, Wyoming, or New Delhi, India, we can service your needs. No matter how large or heavy your shipment may be, we have the flexibility and know-how to meet your delivery requirements. Our central operations allows you the convenience of calling one toll free number to schedule any type of shipment, no matter where the origins or destination may be. Unlike most of our competitors, our authorities, resources, and expert personnel, allow us to service all of your transportation needs, from aircraft charters to flatbed trucks. This enables you to make one call and rest assured your shipment, no matter how difficult or unusual it may be, will be handled. We pride ourselves in developing relationships with our customers that go beyond typical business relationships. This allows us to research your needs and implement new ideas that can help us serve you better. When you call us, you will speak to a dedicated individual who is familiar with you and your company, and is ready to meet or exceed your expectations in every way.